“Cosmos” oil paint on canvas, 8×10, ©2015, PJ Cook. Today’s painting is cosmos flowers original oil on canvas. 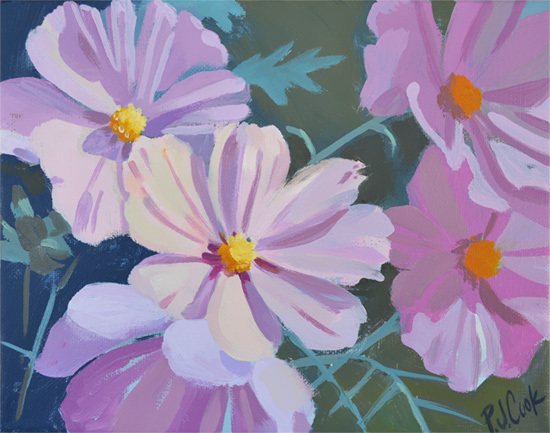 One of my favorite flowers to paint, I like the pretty flowers that always have nice shadows. This floral painting is a 8×10 size canvas. To buy this painting click here.